Young Mountain Publishing, 9780985683962, 394pp. She has unlimited power, but few answers. He has answers, but no freedom. Can they find common ground to help each other, or will he complete his mission to destroy her? To save the lives of everyone on every world, Cecily Daye left behind all she knew to take up the burden of becoming the Source. Now, with more power than she can imagine, Cecily must discover the true difference between nurturing all of creation and becoming a tyrant over all who have no choice but to bend to her will. When mysterious events prove that Cecily is not alone among the Sources, she must seek knowledge to defend her domain against attacks. The only one with that knowledge is a man who's been enslaved and tortured by the former Source. He has the answers she needs, but to gain them, she must place her trust in a man who has every reason to betray her, every opportunity to destroy her, and whose actions have caused the greatest treacheries of her past. But she isn't the only one with something to gain, for she holds the key to what he desires most. Will they find a way past their fears, doubts, and need for vengeance, or will they destroy each other and lose everything? 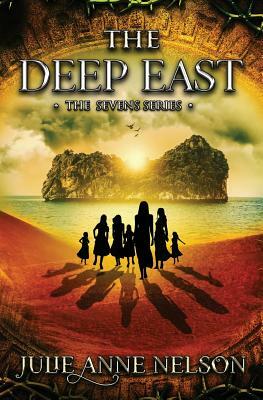 The Deep East is the fourth thrilling book in the Sevens YA fantasy series. If you like supernatural powers, action-packed adventures, and unbreakable friendships, then you'll love Julie Anne Nelson's enchanted saga of sisterhood. Buy The Deep East to join the unforgettable adventure today.